In case you have seen the Japanese horror movie “The Ring” or its acceptable American remake, you already have a taste of what kind of person Koji Suzuki is. The guy didn’t have to do anything with the movies but authored the book of the same name. Now, Suzuki is about to release a new horror story. The name: Drop. Nature of binding: None. It’s released as a toilet paper roll. Aptly named, I would say. 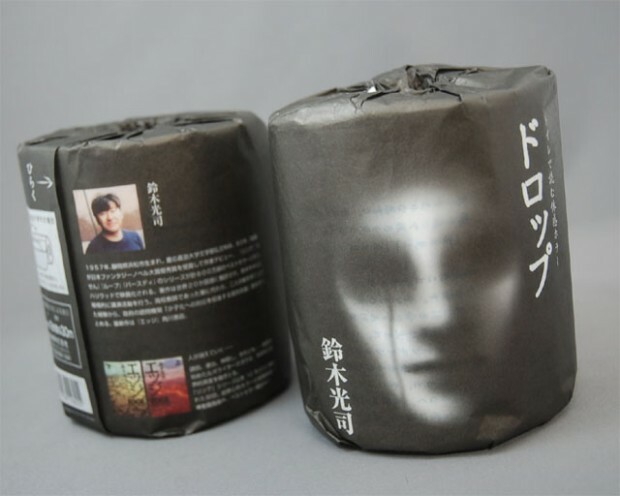 The thing is seriously being marketed as “Japan’s creepiest toilet paper” and will be released over here on June 6. 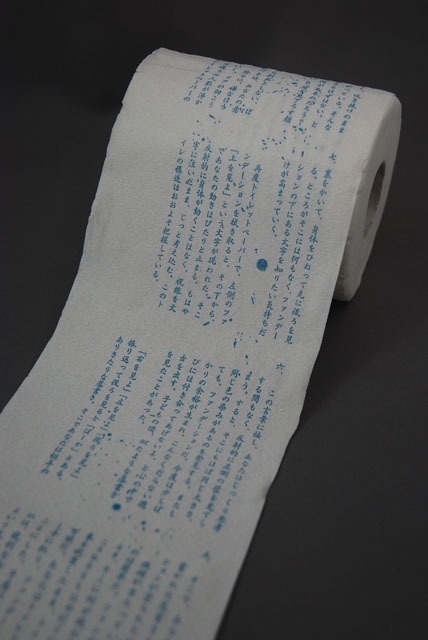 The toilet paper is designed by a toilet paper design company (no joke) called Banbix [JP]. One roll (double layer, 100% recycled paper, 30m) costs $2,20. If I find one roll in one of the supermarkets in my neighborhood here in Tokyo, I will make sure to buy it and deliver a hands-on test on CrunchGear later.